Now that the holidays are over, I’ve been hitting up the thrift stores and flea markets again. People donate a lot of stuff at the end of the year, so I figure this is prime time to check out the local Goodwill and Salvation Army. I’m still looking for things for the house – I’ll be doing some painting in the next month or so and then I will be able to arrange all the great pieces I’ve found so far. 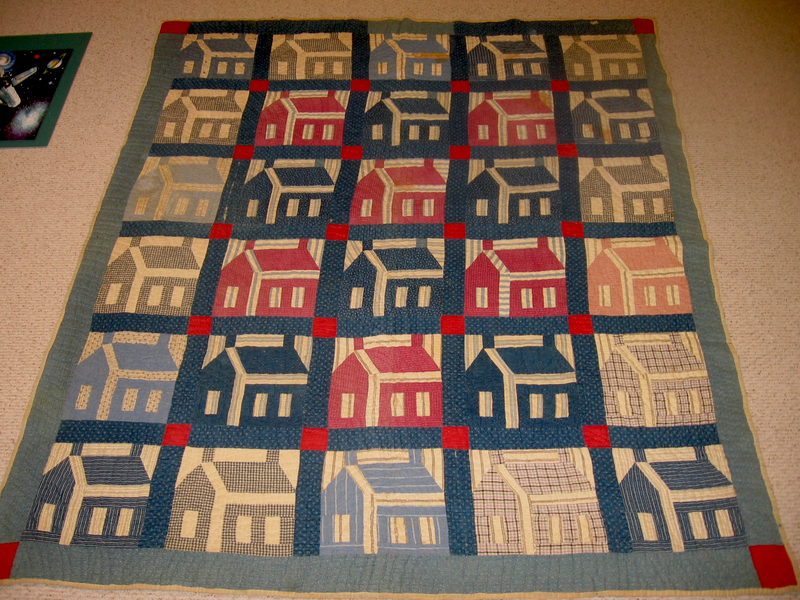 This is a schoolhouse block quilt I found at the local flea market. It’s probably from the late 1800’s or early 1900’s. It is pretty good condition, there is some minor repair work to be done and it needs washed. The lady who sold it me said I could wash it by hand in the bathtub with Orvus Quilt soap. It would probably take 5 – 6 rinses, but she thinks a lot of the stains will come out. The backing is made from old feedsacks and it is entirely made by hand. I love it! This is a funny little wooden storage bin. It’s solid wood and in good condition, it just needs some TLC. I am going to use this piece as my test case for learning how to refinish furniture. It will be stripped and I will either paint it or stain it something very dark and replace all the hardware. I am also going to sand off the scratches and fix it up. It will look great in my sewing room! 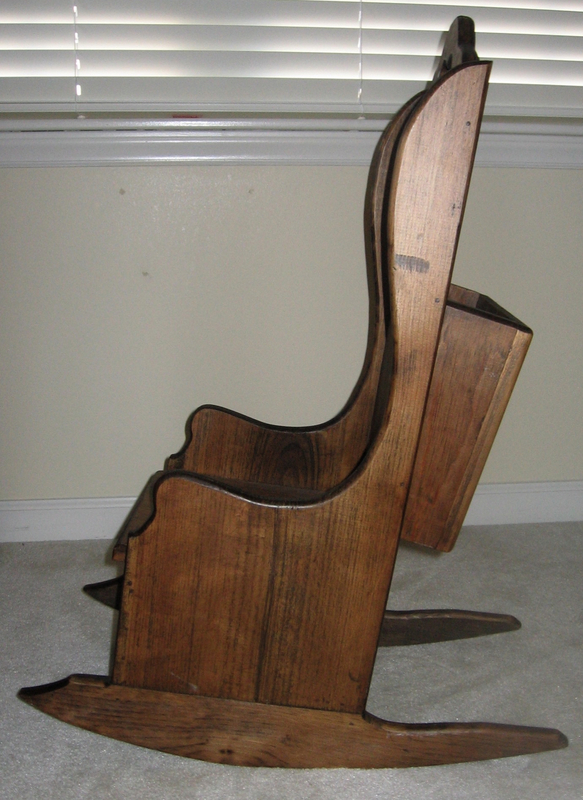 This is the sweetest little child’s rocker. I found this for only $5!!! It is handmade and probably about 40+ years old. The best part is the section on the back where you can store books or other things. I imagine having a quilt draped on it and some type of prim flower arrangement in the back. Any suggestions? 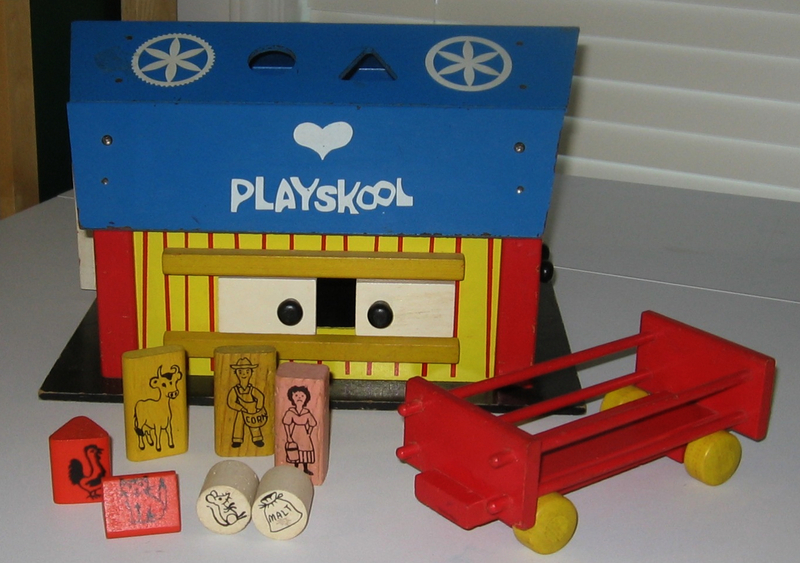 Another fun child’s thing – an old Playskool Barn. This is probably from the 60’s or 70’s. It includes a set of blocks with the Farmer and his wife. My son wants to know why the wife looks so sad – she has quite a frown on her face. Maybe the farmer tracked mud all over the house? 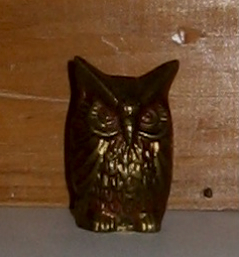 Finally, here is a cute little brass owl. He’s about 3″ high and is the perfect knick knack for my sewing room. He looks like a spooky Halloween owl and I couldn’t resist him (he was only 50 cents). I hope you enjoyed my virtual shopping trip! GREAT finds! I’ve been doing the same ~ it’s such a fun time of year to shop and look for treasures!! 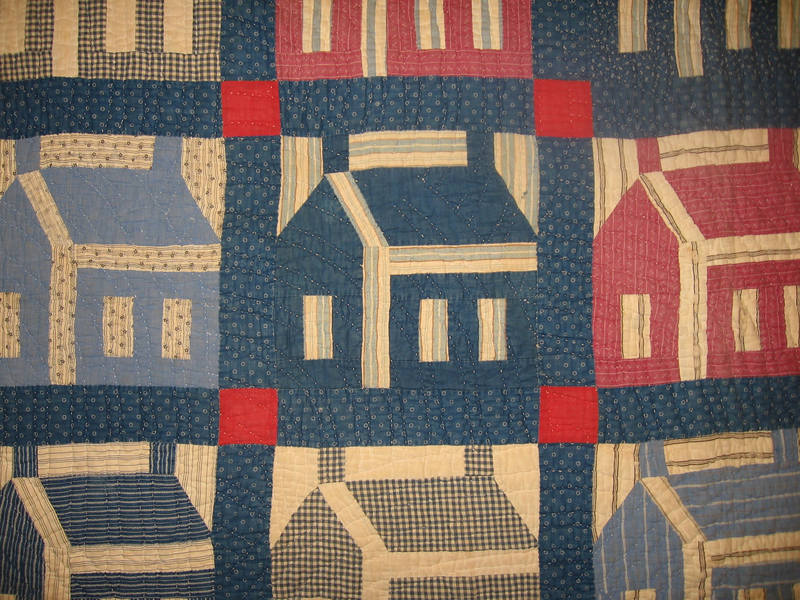 I especially love that quilt – beautiful!! Thanks Aimee! 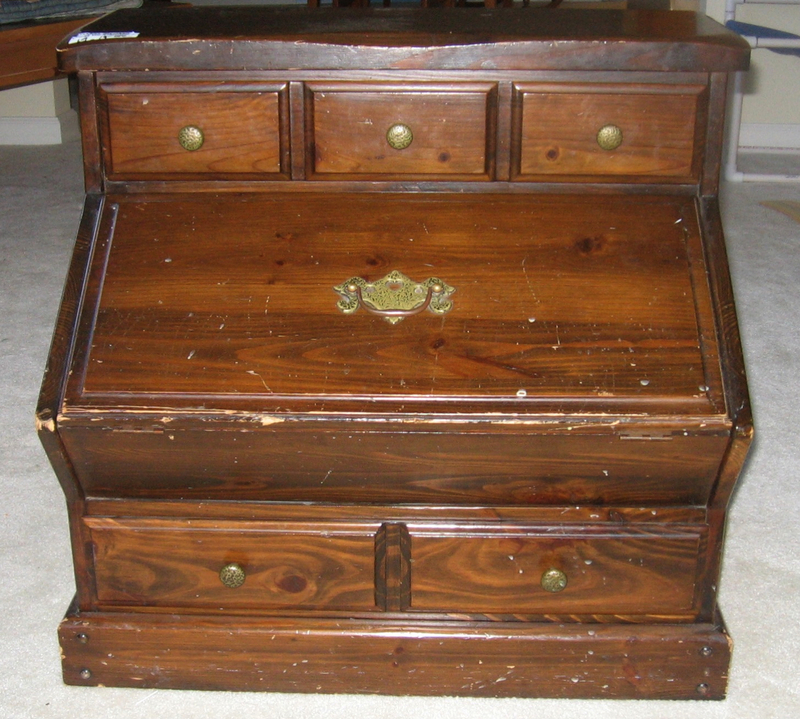 You have some great thrift store finds on your blog too! I really love the Halloween tree – what a great idea! Heather – the quilt is quite a find!! Good job. You may want to research cleaning it a bit further. Maybe contact a museum or go on-line. I was pretty pleased with the quilt. I will definitely do some reading on the best way to clean it – I don’t want it to fall apart on me! I love the quilt and the rocking chair. There probably is a reason for the dip in the back of the chair. 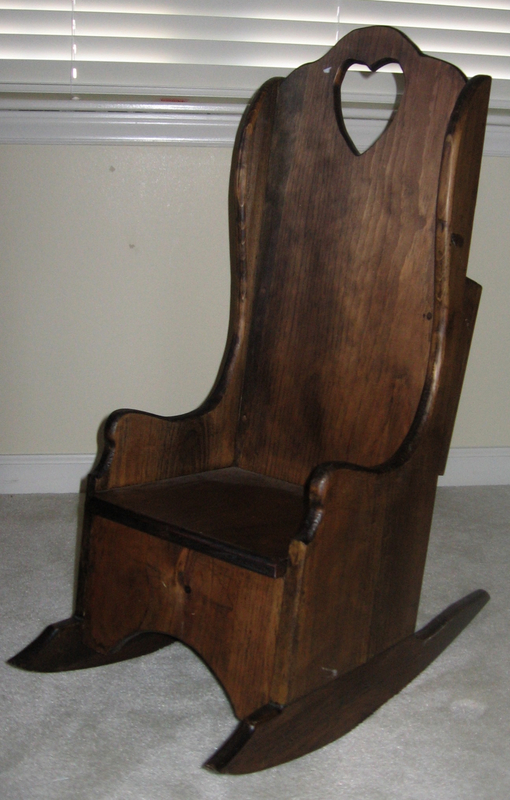 I have been searching for a children’s rocking chair exactly like this. Would you sell it? Wanted it for my new granddaughter. Kathy, I just saw this comment. I am glad you like the chair! I am not interested in selling it at this time.